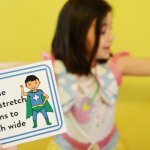 The Printable Superhero Brain Break Cards use fun superhero themed activities to help your wiggly kids move their bodies and get out some pent-up energy! With over thirty super brain break ideas and room for you to create your own, you and your kiddos will be able to take much-needed sensory breaks when you’ve been sitting too long! 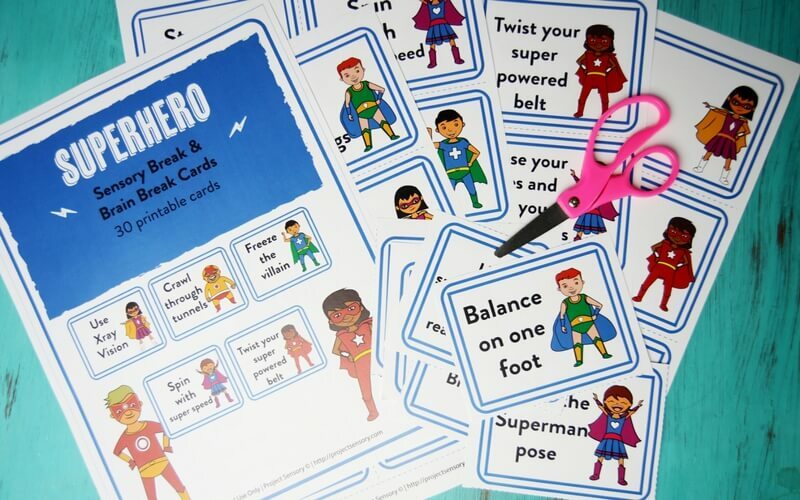 These printable Superhero Brain Break Cards work well for all the little superheroes in your life! The movements are simple, so they won’t be stressful for your little one, but will help them to move like a superhero. If a child has been sitting for an extended period of time, give their brain a break! These movements will help kids run, fly, and karate chop their way through a guided brain and sensory break. 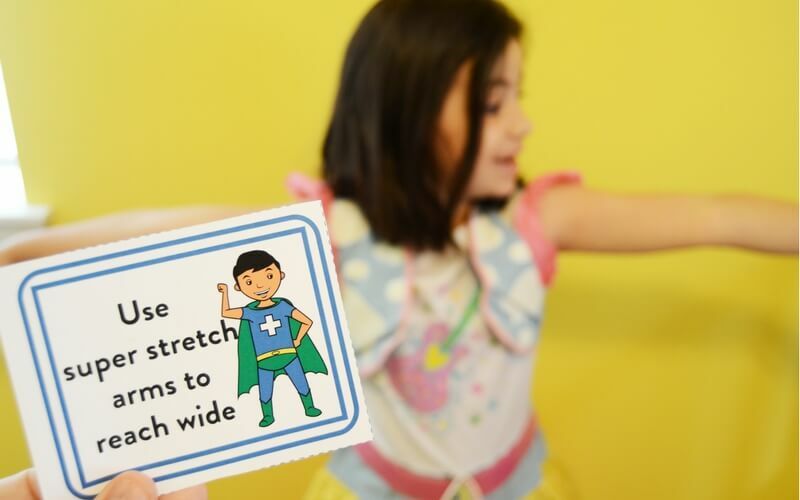 These printable Superhero Brain Break Cards are designed to help you lead your child(ren) through guided movements in between long periods of sitting. These are great for in-between classes, church services, connecting flights, long driving stints and more! Plus, they’re all based around Superhero movements which makes them a ton of fun for kids! The Superhero Brain Break and Sensory Break Cards contain thirty different cards, each with a different movement. 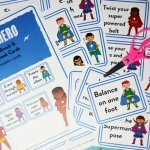 Guide your kids through superhero moves like, “slice and dice with super hands” or, “kick and pow with your feet.” Help your kids stay super, by engaging them in fun and interactive brain breaks with these printable Superhero Brain Break and Sensory Break Cards!